So Ruby and Crescent Rose appears in the Ready Player One movie. A fairly weak episode after a string of good ones. There's some Ruby x Penny romance going on in this episode. Kinda reminded me of tangled. Penny doing the cricket noise with her leg was the best for me. The Desperate Housewives one caught my eye more. Any news from RTX this year? 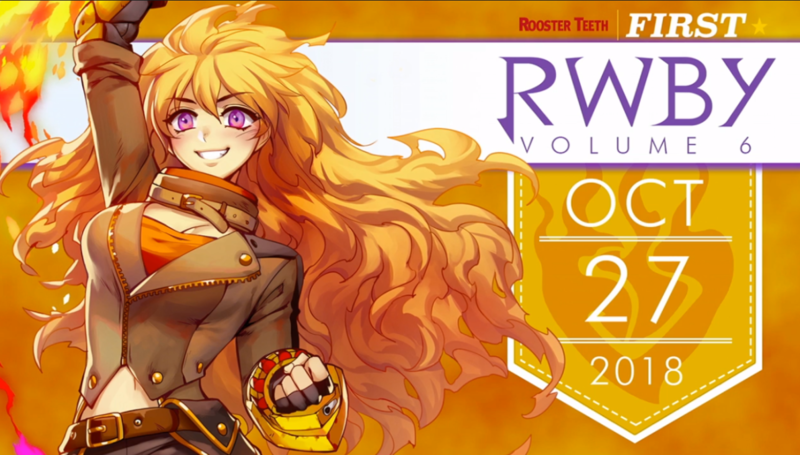 RWBY season 6 announced for October. Except when she got disarmed by Adam. Last edited by NAJ P. Jackson; 2018-08-07 at 06:21. Hope it is the finale. Season 3 was the series peak but they had to remove 2 of the best characters. Not really apparently Adam got a badass trailer which makes his and Khan's Performance in V5 all the more embarrassing. Besides that no real news....well actually team CVFY is getting a book where they go to Shade Academy in Vacuo. I think that covers it. Volume 6 Adam Character shorts. It's too bad Khan died too early since this episode shows how much a skilled fighter she was. That should have all been in last season to give some weight to the arguments that were being made and so we could actually care about the characters. I don't remember Adam being so.... flat... before. It's like it's his VA's first ever job. And so we find out that Sienna Khan created the monster that was her own undoing.